ESA-education contest winners, we lead science cases at ESAC. We won the contest organized by the educational division of ESA (the European Space Agency). 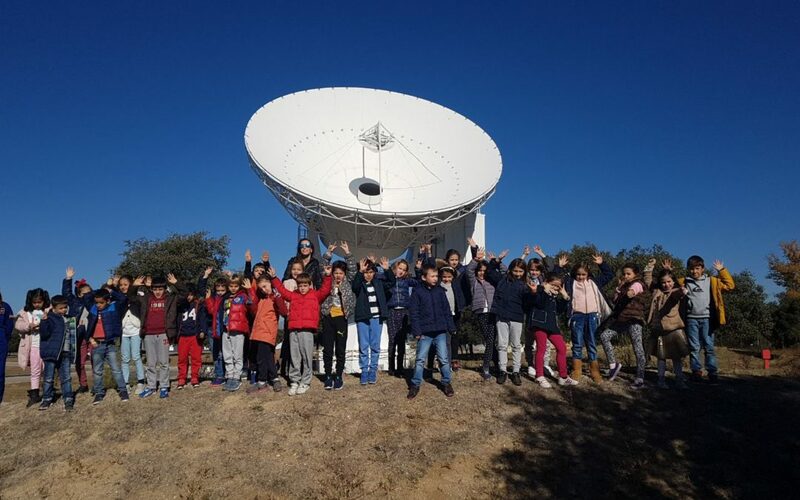 Our prize: we get to work in the CESAR project, design and lead the Space Science Experiences, create new space technology for educational purposes and organize school visits to ESAC (the European Space Astronomy Centre). CESAR is an educational initiative whose main objective is to engage students with the wonders of astronomy and, more generally, science and technology. Multiple experiences are offered within the project, for example, the Space Science Experiences are 2 hour experiences offered exclusively at ESAC that combine a visit to the centre and a Science Case. This Science Cases are different exercises that provide students with hands-on experience in real astronomy measurements or studies. Design new Science Cases: We are always innovating, designing new experiences that use data from the latest ESA missions, exploring different astronomy concepts and presenting them to students, or looking for new ways to arouse scientific vocations in children. Lead the Space Science Experiences: Our expert Space Monitors work at ESAC to prepare and lead all the school visits to ESAC, they walk the students through the different scale models of space missions that are exposed at ESAC, talking a bit about each mission, and then they present the Science Case and help students solve it. Create new Space Technology: In many occasions, during the visits or the Science Cases, technology specially designed for space education is used. We are to create new technology for this purpose, for example, our augmented reality topography map. We are happy to put our experience to the service of this wonderful project.